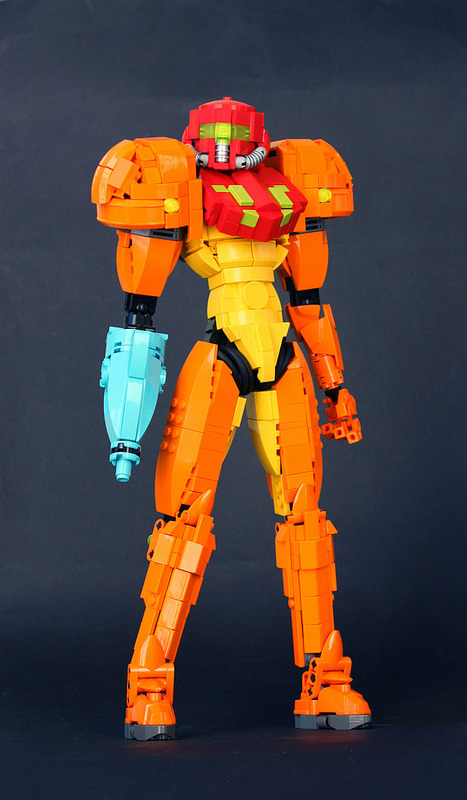 Back in December 2013, Finnish builder Eero Okkonen wowed us with a Bionicle / Technic build of Samus Aran in her Zero Suit. Almost three years later and he’s at it again, this time with the famous heroine in her Power Suit. 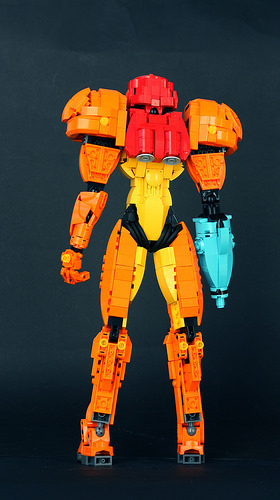 This huge build (this time built with regular bricks) is a sight to behold. Thanks to the large size, the builder really got to do some impressive shaping, especially nailing the spherical pauldron. The colour choices too are superb, with the azure blue Arm Cannon being both a literal and figurative highlight. It would have been easy for the build to be plain on the back, something LEGO themselves are guilty of in their official sets. But no, the back of this build is just as detailed, with only one or two flaws thanks to the colour availability of certain parts, such as the larger ball joint bricks used in the ankles. If you want to see more angles and poses not included in Eero’s Flickr stream, as well as write up of the creation process, the builder has written a personal blog post that you should check out.